This volume of the Delft School of Design Series focuses on particular urban questions related to the South African urban context. The book seeks to construct a contemporary critical dialogue of current spatial practises and contemporary design instruments in relation to social, political and governance structures through an architectural and urban lens. A number of discourses and dialogues are included within the general debate in order to confront the trajectories of a well-known historical legacy with that of a current South African urban reality. Contributors, who include academics, urban historians, architects, policy makers, all widely published authors, share their experience, deliver analytical insights and reflect on the possible paths forward. 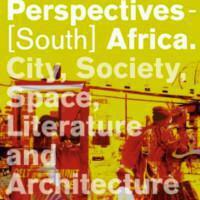 Topics within this volume are addressed under headings of ‘Other Urbanisms’, ‘Tradition, Culture and Education’, ‘Urban Design, civic action and agency in South Africa’ and ‘Future perspectives’. With contributions by M. Christine Boyer, Gerhard Bruyns, Arie Graafland, Patrick Heller, Ena Jansen, Johan Lagae, Hannah Le Roux, Lesley Lokko, Iain Low, Edgar Pieterse, Abdou Maliq Simone and Aletta Steenkamp.